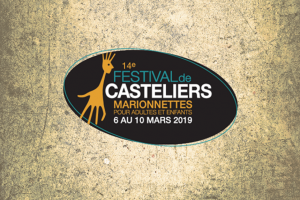 The 14th Festival de Casteliers will be held from March 6-10, 2019. The Festival program will be unveiled on January 24, 2019 during the highly anticipated Happy Hour cocktail at Théâtre Outremont, from 5 p.m. to 7 p.m. This year, the celebrations will continue on into the evening with the presentation of ERSATZ by the French collective AÏE AÏE AÏE at the Maison internationale des arts de la marionnette (MIAM – International House of Puppetry Arts). ERSATZ is presented in collaboration with Mois Multi, International Festival of Multidisciplinary and Electronic Arts. Add a little Festival de Casteliers cheer to your Holiday Season by reserving your tickets today! Casteliers wishes to thank the Consulat général de France à Québec for its support.